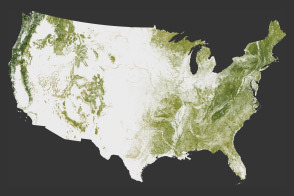 When Michael Lefsky of Colorado State University released a first-of-a-kind map showing the height of the world’s forests in summer 2010, he made clear it was a first draft that would be refined in the future. Sure enough, a second map of global forest canopy height appeared in the pages of the Journal of Geophysical Research about a year later. 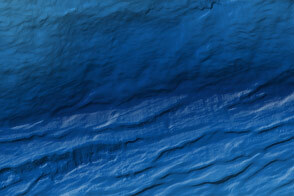 A team led by Marc Simard of NASA’s Jet Propulsion Laboratory developed the newer map. It shows that, in general, forest canopy heights are highest near the equator and decrease the closer forests are to the poles. 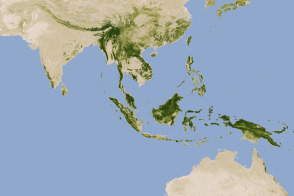 The tallest forests, shown in dark green in the map above, tower higher than 40 meters (130 feet) and are found in a band in the tropics that includes the rainforests of the Amazon, central Africa, and Indonesia. One exception: the temperate rainforests in eastern Australia, where stands of eucalyptus, one of the world's tallest flowering plants, reach similar heights. The map shows that temperate conifer forests in the Pacific Northwest—full of Douglas fir, western hemlock, redwood, and sequoia—are home to exceptionally tall trees that grow fairly far from the equator as well. In contrast, boreal forests in Canada, northern Europe, and Russia (comprised mainly of spruce, fir, pine, and larch) tend to have canopy heights less than 20 meters (66 feet). 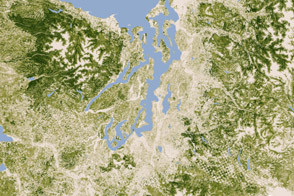 The map produced by Simard and his colleagues has a higher spatial resolution than the first map, so it depicts the world's forests in finer detail. 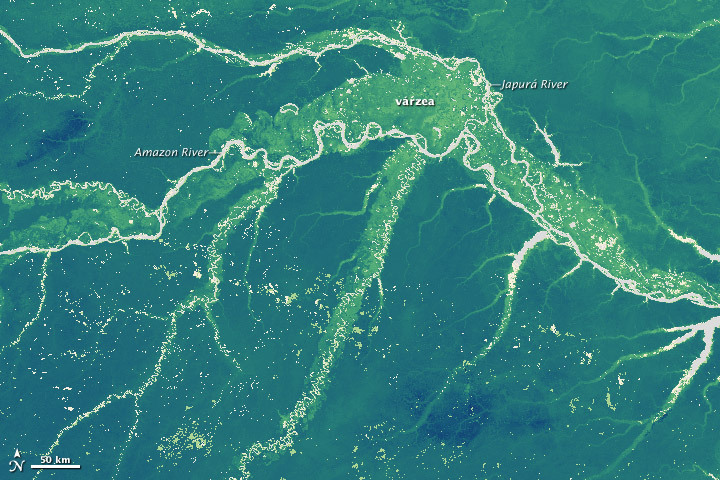 For example, várzea, a type of forest that is frequently flooded by fresh water and tends to be shorter than the surrounding rainforest, is clearly visible between the Amazon and Japurá rivers as a lighter shade of green. Both maps are based on data from the Geoscience Laser Altimeter System (GLAS) from the ICESAT satellite and the Moderate Resolution Imaging Spectroradiometer (MODIS) on NASA’s Terra and Aqua satellites, but the new map incorporates additional elevation data from the Shuttle Radar Topography Mission (STRM) and climatology information from both the Tropical Rainfall Measuring Mission (TRMM) and the Worldclim database. Simard’s team took a different approach to merging data from GLAS and MODIS, and they also validated their findings with a network of nearly 70 Fluxnet ground sites around the world. As a result, the forest heights in the newer map are generally taller (particularly in the tropics and in boreal forests) and shorter in mountainous regions. Other versions of Simard's map are available here. Earth Observatory. 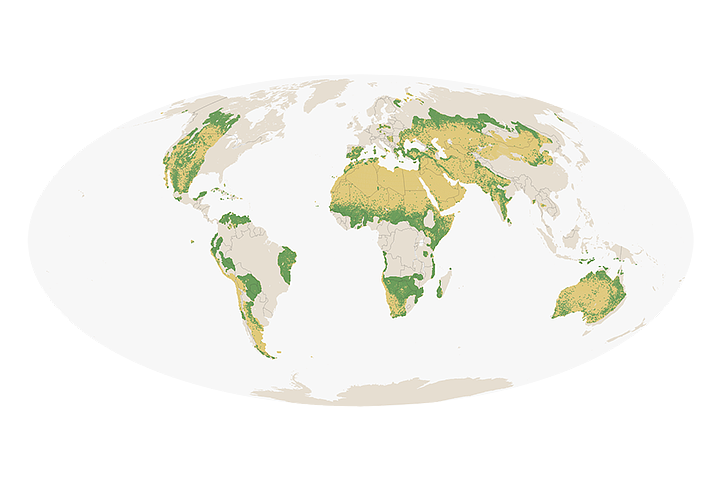 Seeing Forests for the Trees and the Carbon: Mapping the World’s Forests in Three Dimensions. NASA map by Robert Simmon, using data from Simard et al., 2011. Caption by Adam Voiland. 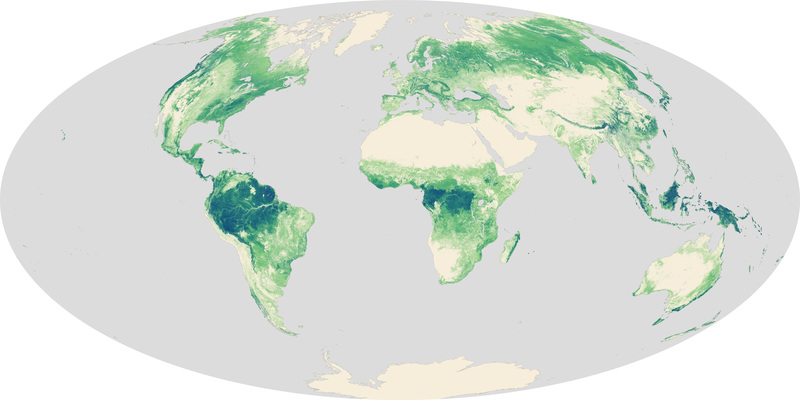 A high-resolution map offers a global view of forest canopy heights. 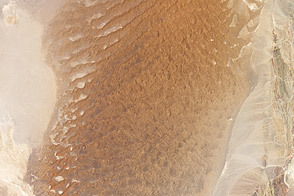 Simard, M. (2011, November 2011). 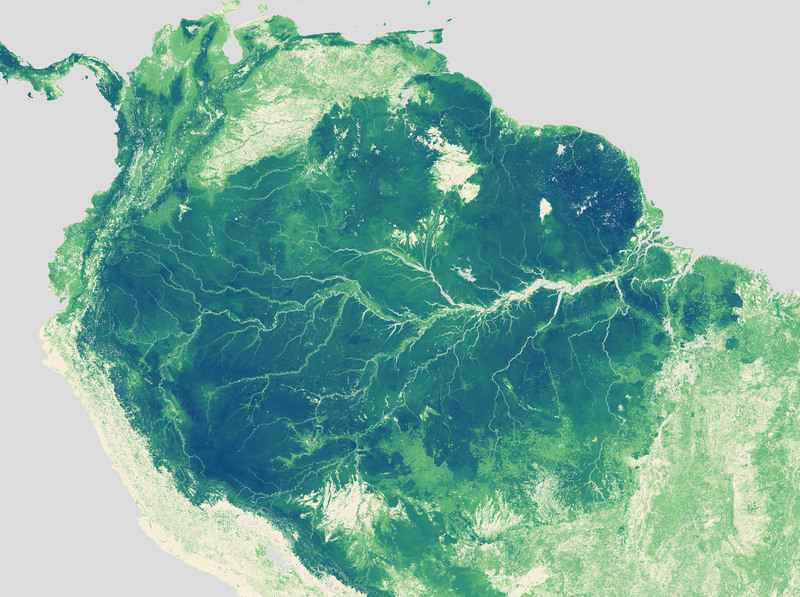 Mapping Forest Canopy Height Globally with Spaceborne Lidar. Journal of Geophysical Research. (116) G04021. Lefsky, M. (2010, August 5). A Global Forest Canopy Height Map from the Moderate Resolution Imaging Spectroradiometer and the Geoscience Laser Altimeter System. Geophysical Research Letters. (37) L15401. NASA Jet Propulsion Laboratory. (2011). NASA Map Sees Earth’s Trees in New Light. Accessed April 12, 2012.